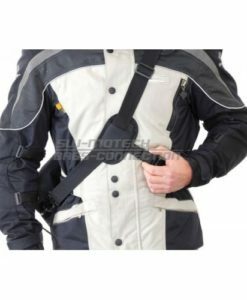 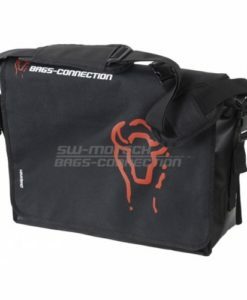 Waterproof Motorcycle Laptop Bag made of welded Tarpaulin – Capacity 7 Litres and can holds a 17″ Laptop. 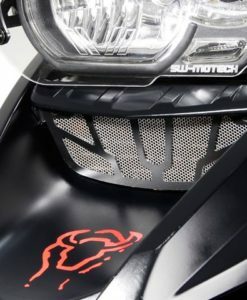 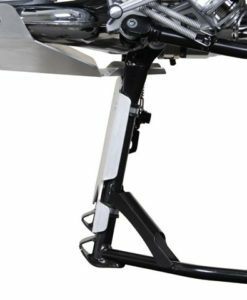 Rally Style SW-MOTECH Lower Crashbars / Engine Guards provides protection to both the fairing and engine designed to provide maximum protection, optical integration, and high-quality fit and finish. 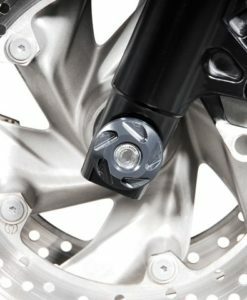 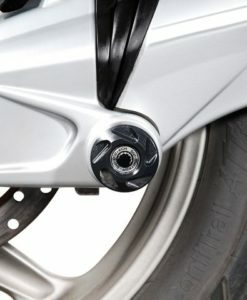 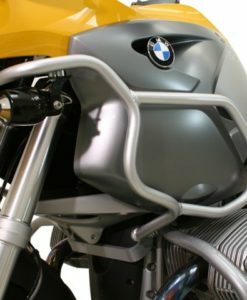 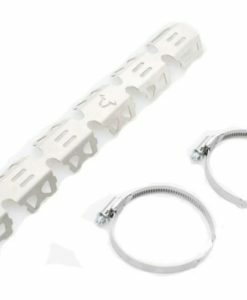 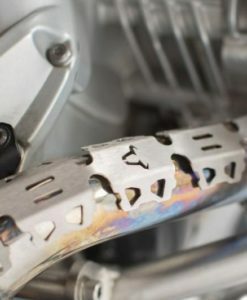 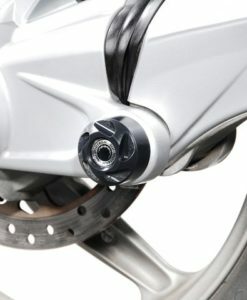 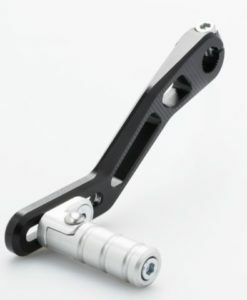 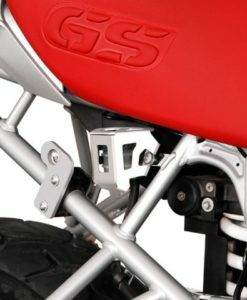 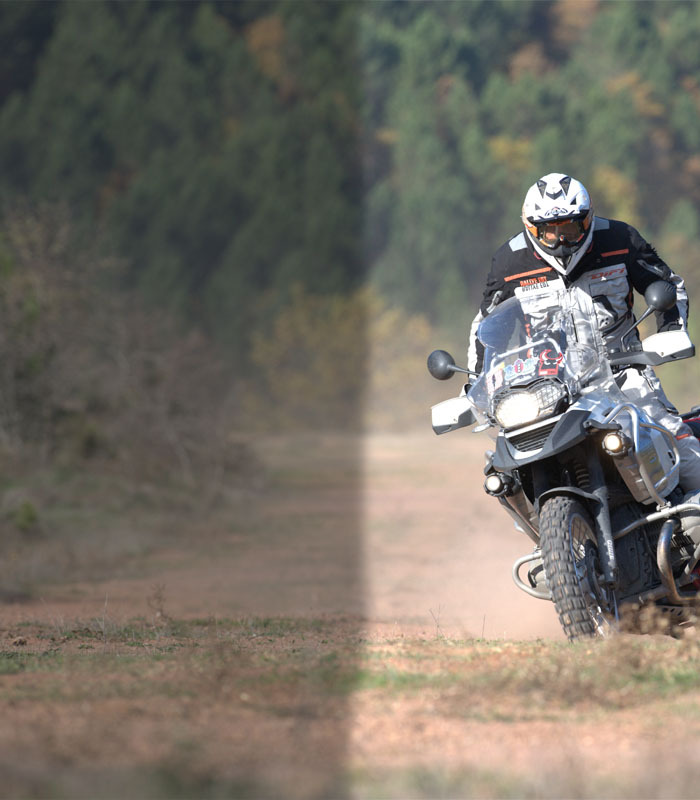 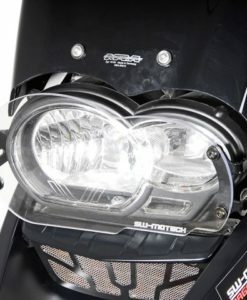 SW-MOTECH Upper Crashbar for the BMW R1200GS ’04-’07 protects the radiator and lower fairing of your motorcycle. 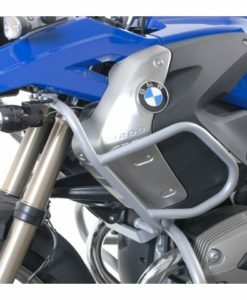 SW-MOTECH Motorcycle Upper Crashbars BMW R1200GS (2008 onwards)  protects fairing and vital parts from damage. 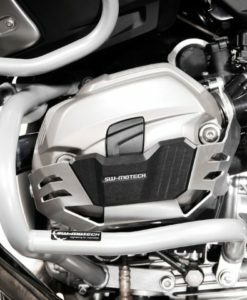 SW-Motech Aluminium Engine Guard/Skid-plate shields the exposed underbelly of your motorcycle to prevent damage. 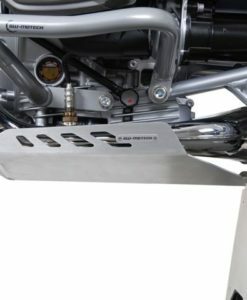 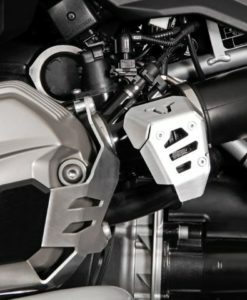 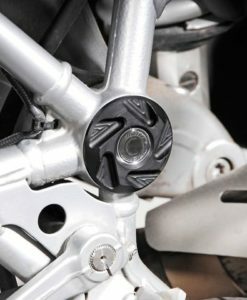 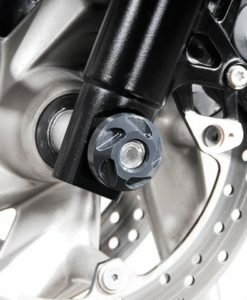 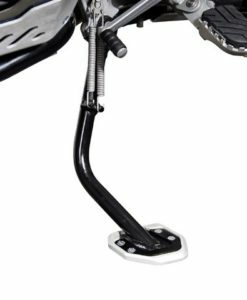 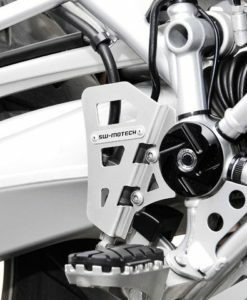 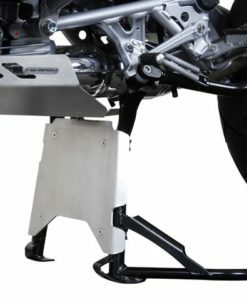 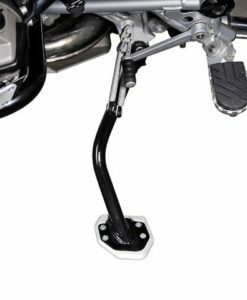 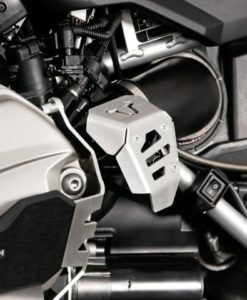 This Bash Plate Extension attaches directly to the factory BMW center stand on your R1200GS for additional underside protection. 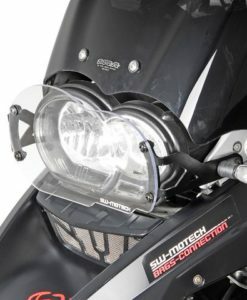 SW-Motech Cylinder Head Guards includes rubber bumpers to help absorb impacts. 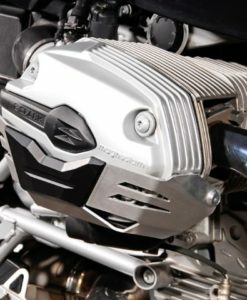 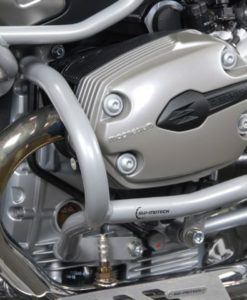 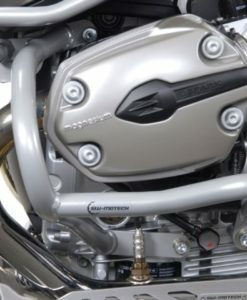 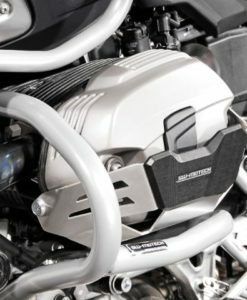 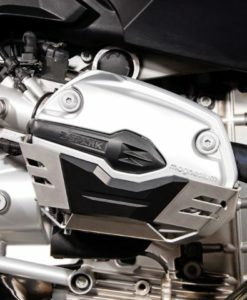 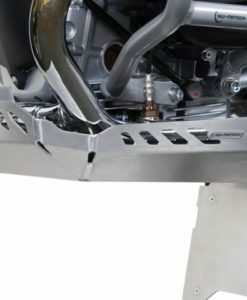 SW-MOTECH Aluminum Cylinder Guards  are designed to protect the Boxer valve covers against falls and slides. 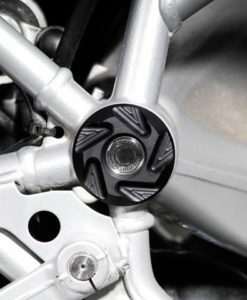 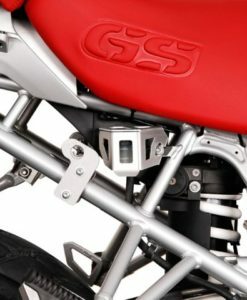 SW-Motech Frame Cap Set  to cover the original screws on swing arm. 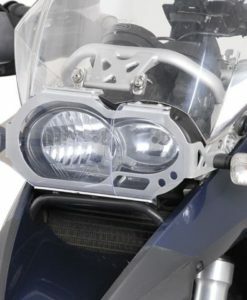 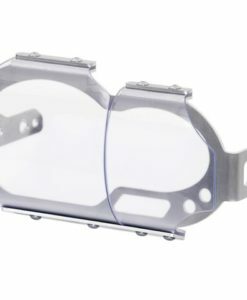 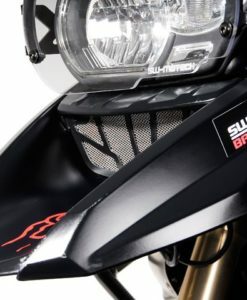 Headlight Guard with transparent flexible PVC-shield. 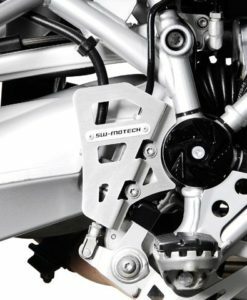 SW-MOTECH Adjustable Folding Gear Lever allows for minute adjustments, and the spring lock prevents against damage in the event of a tip-over.